Park Inn by Radisson is Carlson Rezidor Hotel Group’s bright, bold and fresh full-service mid-market brand. It provides affordable accommodations that are efficient, uncomplicated, practical and comfortable. · Free room upgrade based on availability. · 3,000 bonus Gold Points®. · The guest’s choice of a free amenity for their stay. Options include… late check-out, free breakfast, free appetizer, or free dessert. The promotion runs through September 30, 2012. The Park Inn by Radisson is located in Sharon, Pennsylvania at 3377 New Castle Road -West Middlesex - Pennsylvania. Here is some additional information about Park Inn by Radisson. Park Inn by Radisson is Carlson Rezidor Hotel Group’s bright, bold and fresh full-service mid-market brand. 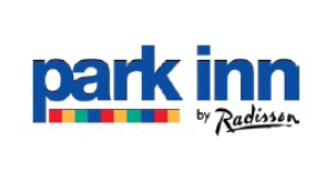 Park Inn by Radisson provides affordable accommodations that are efficient, uncomplicated, practical and comfortable. Adding Color to LifeSM is designed to make guests’ stays friendly, fun and uncomplicated and is a key part of the signature Park Inn by Radisson guest experience. The hotel’s particular brand of service is intended to make guests feel well cared for, all with an easy sense of fun. This spirit of service is reflected in the positive attitude and professional, attentive approach the staff displays every day to make a genuine, memorable difference with each guest. To attract a mix of corporate business and leisure travelers, the brand offers guests a mix of relevant amenities called “Park Inn Essentials.” Some of these include high-speed Internet, fitness and business centers, restaurants or complimentary lite “grab and go” breakfasts, and a signature bedding package that allows guests to experience the “sleep well, live well” brand tagline. You can check out the ParkInn.com for additional information and you can follow/like Park Inn on Facebook.